Broken, chipped, or cracked teeth can happen unexpectedly, requiring emergency dental care. They never happen at a convenient time or place, so you may have questions about what to do immediately and in the near future. You need to see your dentist as soon as possible. There is no safe way to take care of broken teeth, cracked teeth, or lost fillings at home. In the meantime, rinse out your mouth with warm water and apply a cold compress to your face to help temporarily alleviate pain. You may experience pain immediately and/or lingering tooth sensitivity. What Preventative Measures Can Be Taken to Avoid Broken, Cracked or Chipped Teeth? Westend Dental stands ready to help you with dental emergencies such as chipped teeth, broken teeth, cracked teeth, or lost fillings and crowns. Whatever the cause, we have experienced emergency dentists ready to provide you with the highest quality care. 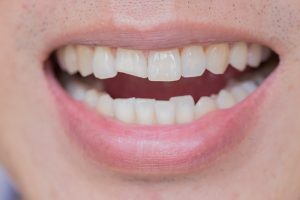 In addition to fixing the tooth and alleviating the pain, we can also help you discover the reason for the damage and help you avoid repeated problems in the future, if possible. We provide emergency dental care for patients with dental pain, fractured, cracked, or chipped teeth, and dental emergencies of all types. We offer emergency appointments and walk-in services to help you get the care you need, while living your busy life.